Today is a perfect ski day, not a day to be missed! 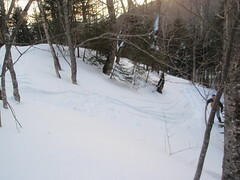 Blue sky, temps in the teens, perfect classic tracks and nice snow coverage in the backcountry. 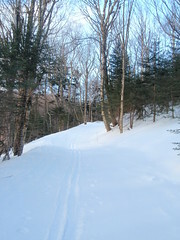 First tracks through the woods on Cup- Runneth Over trail. 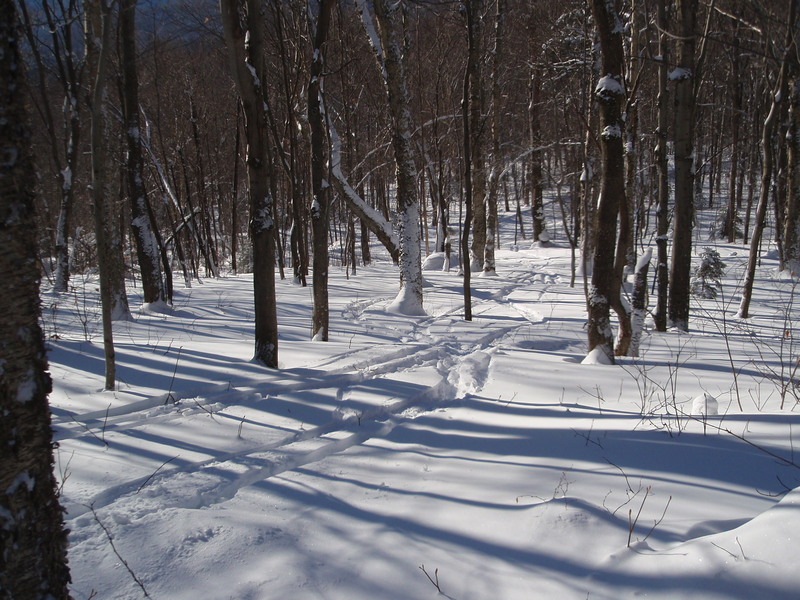 Backcountry or groomed skiing at your finger tips... two perfect options for today. Perfect tracks on broadway this morning... great extra blue wax day. 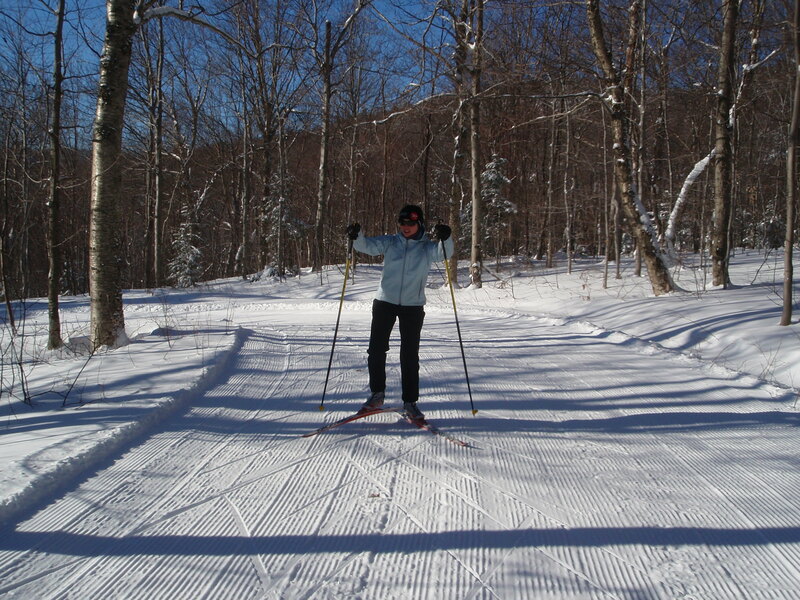 Eric Tremble skiing up Brook Run on the way to Cliffhanger and Holden's Hollow. What a difference a day makes. It snowed all day yesterday, last night and the snow continues this morning. 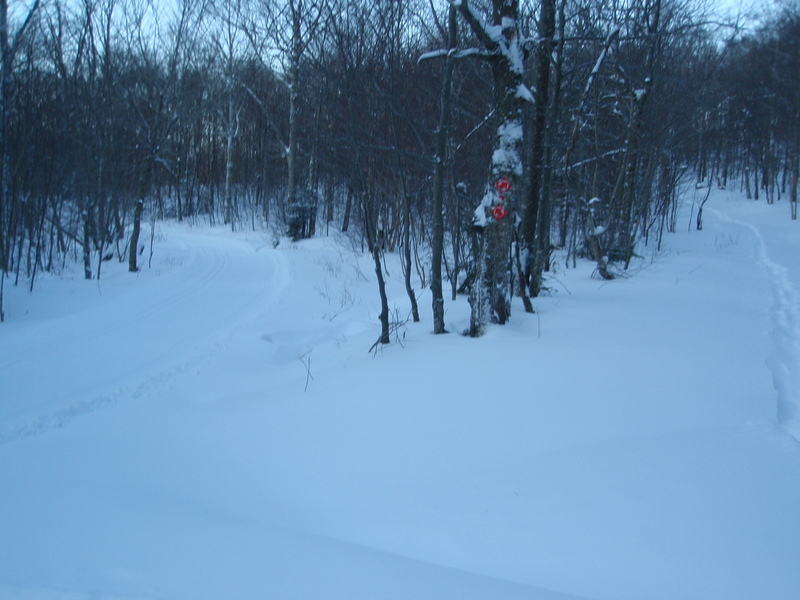 We have 11-13″ of new snow in the base area and even more in the higher elevation, wind protected backcountry areas. Click here to read the conditions report. 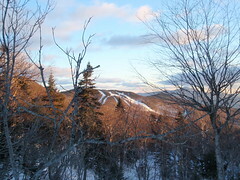 We had great ski day today and many folks returned from backcountry skiing raving about the amazing views. Happy Holidays! 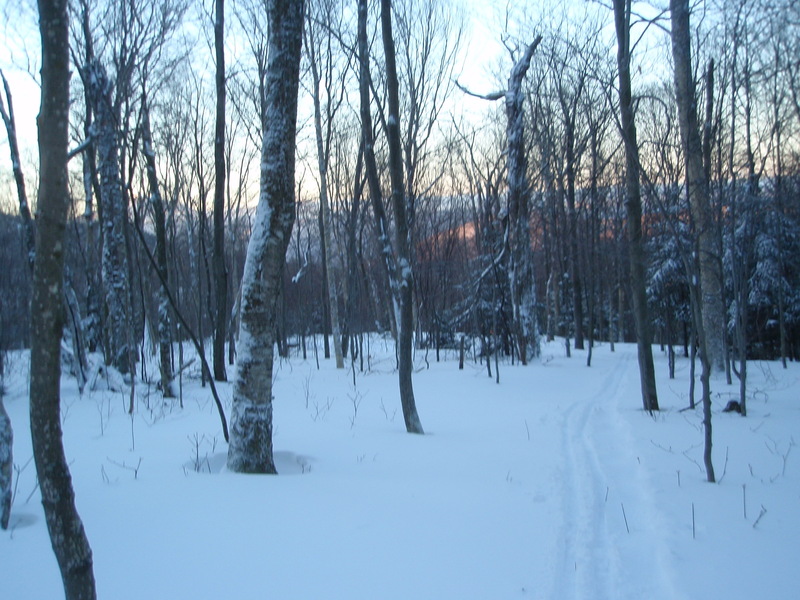 Come Enjoy Winter at Bolton Nordic! 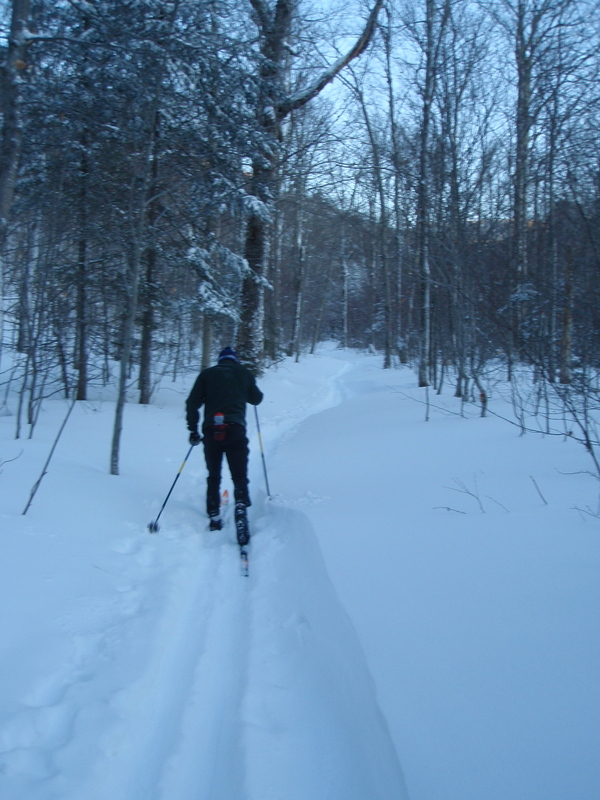 Come explore our 100km of nordic trails and experience the beauty and tranquility of Bolton Valley in the winter. 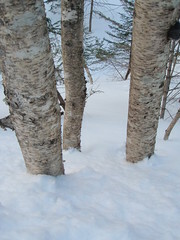 Click on the conditions link above to see details about current snow and trail conditions. 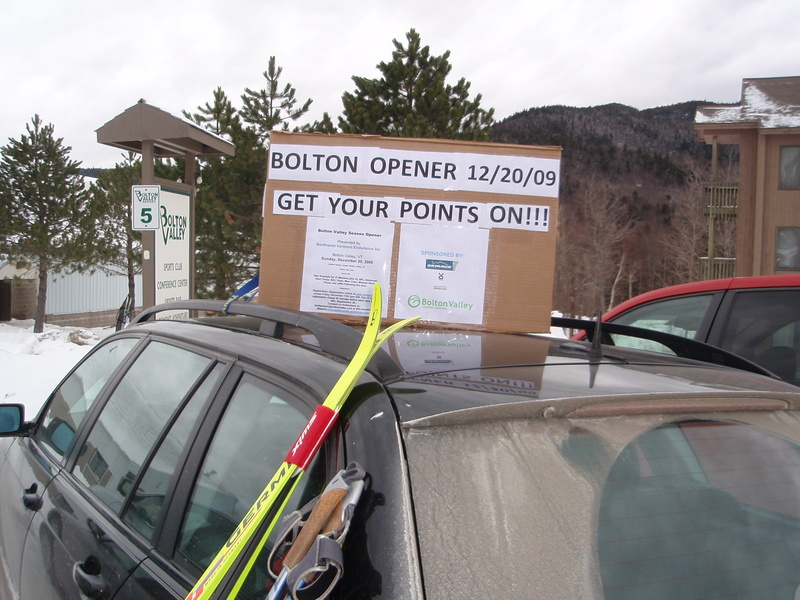 Sunday is the 3rd Annual Bolton Season Opener. And what a difference a week has made in snow conditions. The course is in great shape after a week with new snow and cold temps. If you around on Sunday stop by to cheer on the racers and watch a great field from the youngest lollipop kids to Olympians. Saturday Photos: Blue skies and lots of sun! Come enjoy the warmer temps, bright sunshine and great snow! 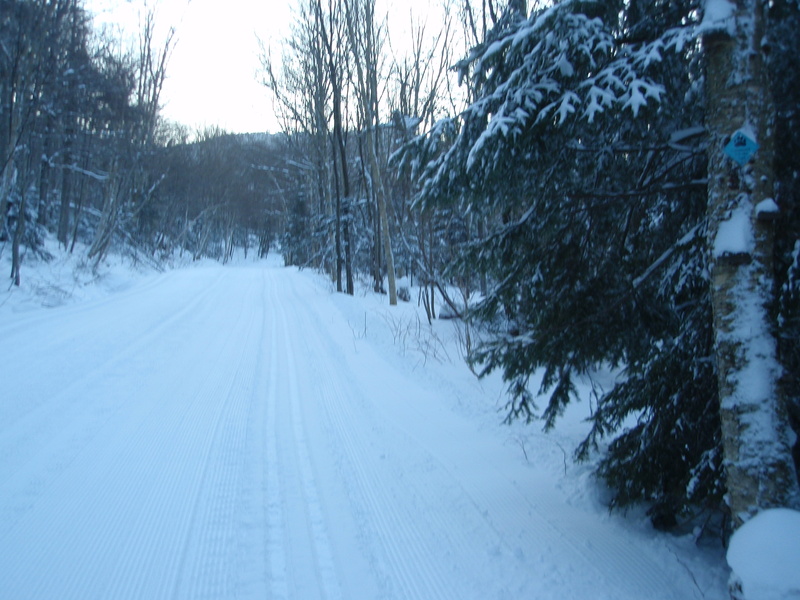 December 12-18 tickets at Bolton Nordic are just $5 and Bolton alpine tickets are $15. 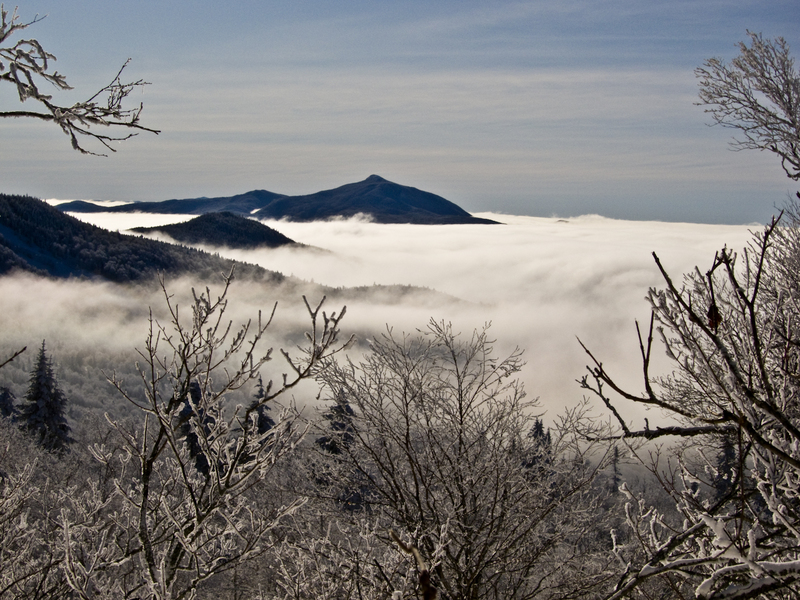 Join us for skiing this week and enjoy some of our great early season snow!